Many electronic devices contain chemicals that can harm our health and the environment if they’re not disposed of properly. 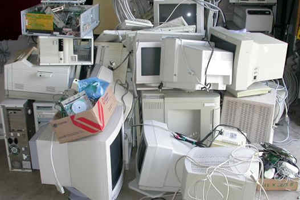 Computers and monitors, for example, contain chemicals such as cadmium, mercury, and lead. If they are disposed of improperly, they will end up crushed in landfills which results in the release of these chemicals into the air and water causing damage to our health and the environment. 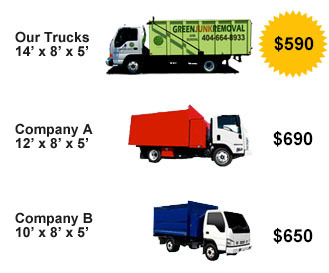 On top of that your business can get hit with a heavy fine also! 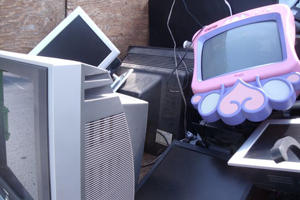 At Green Junk Removal & Recycling we take great care in properly recycling your computers, monitors, printers, and E-Waste in general by taking them to EPA approved and certified recycling centers only. Proof of recycling will be provided upon request.